Brian Head’s annual motorcycle meet. The “Aspens Blue Sky Retreat” is truly a home away from home. 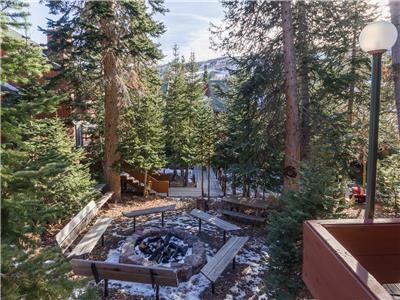 This charming one-bedroom condo offers amazing views of Pine and Aspen trees, right from the living room. 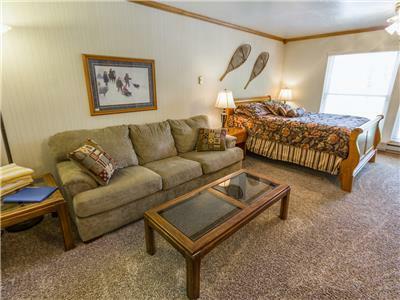 It has a Queen size bed (with new mattress) in the master bedroom and an additional alcove with a set of twin bunkbeds for young children and adults alike. It features all of the comforts of home, which include a flat screen TV, blue ray player, free Wi-Fi, DVDs, and an assortment of board games for your use. 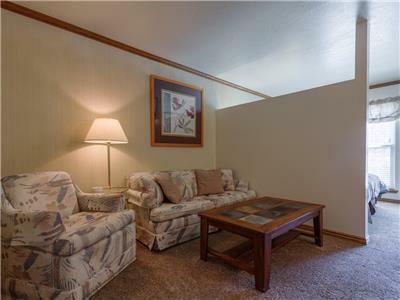 This property can accommodate whatever your plans may be. 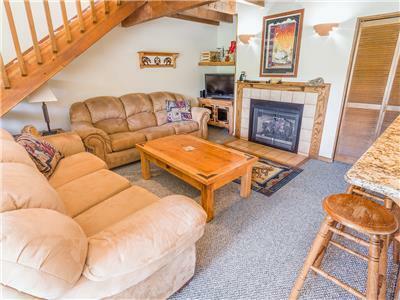 You can stay in and cuddle up right next to the beautiful remodeled stone fireplace (firewood is provided from approximately Oct – Feb, and is on a first come first served basis) or if you are looking to chef up some breakfast before hitting the slopes, the kitchen is stocked for your convenience to do so, just bring your groceries. 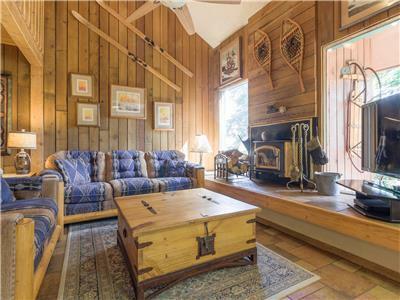 This cabin-like condo is located at the back side of the Aspen’s complex, and although it does require several steps to get there, once you’re there, you will enjoy the peaceful tranquility and amazing views. It’s like stepping into the tree tops. There are quite a few steps going up to this property. This unit can accommodate up to four guests. The view from this unit will take your breath away. This amazing unit would be great for your much needed getaway. It offers a queen size bed along with a queen size sofa pull out. Depending on your preference it can sleep 3 or 4 comfortably. A nice large flat screen TV is a great bonus for this unit. There is elevator access to this unit. The amenities are located in the same building. 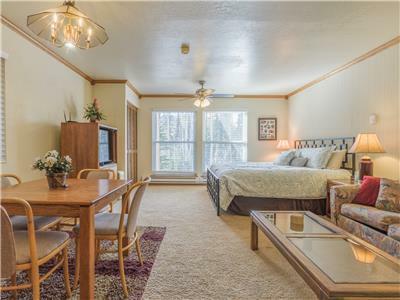 Each of our studios are located in Brian Head, UT and are unique and have different specifics to offer all of our guests. NO PETS ARE ALLOWED IN ANY COPPER CHASE UNITS BY RENTAL GUESTS. YOU WILL BE CHARGED A $250 FEE, PLUS A $50.00 PER HOUR FEE TO CLEAN THE UNIT. NO EXCEPTIONS. This is an adorable cozy unit. It has a Queen size bed and a Queen size pull out sofa. 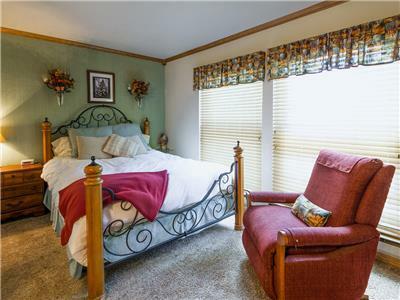 This colorful fun 2 bed 1 bath is a bright unit, that offers a King, with a twin over full bunk bed in the guest bedroom. The property offers shared Jacuzzi/sauna for after your day. This unit is on the 3rd floor, the stairs are mild. Located directly across from the main lifts @ Giant Steps. Shared Laundry Room is available, coins are needed. 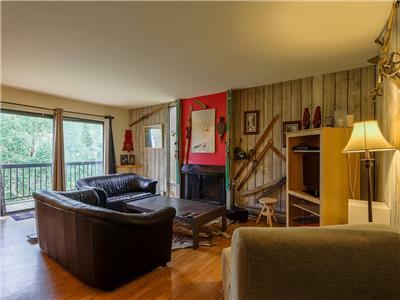 You can stay indoors and enjoy a warm fire, (there is firewood provided during specific months) or enjoy the amazing mountain views right from your own walk out deck. In this unit you have different options to accommodate yourself and your group. This unit does not have a BBQ. Amazing re-modeled unit. (2014). With all new kitchen and bathrooms, this big unit will fit your family perfectly. Two bedrooms and a loft will accommodate up to twelve people; with 1 king bed, 2 queens, 1 full, and 2 pull out sofas. 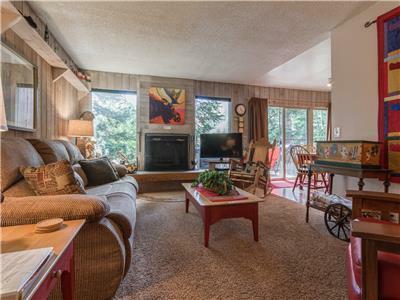 This unit carries beautiful views of Brian Head and is nestled in a perfect grove of trees. You can’t go wrong here with everything you need in the kitchen and in the unit. Your group will be entertained the entire time. There is no elevator for this unit. This is a newly remodeled unit. 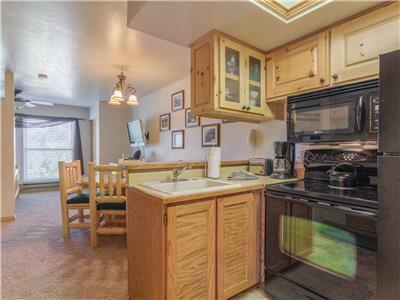 It is very cozy and on the main floor to all the Copper Chase amenities. It has a Queen size bed and a day bed with trundle. 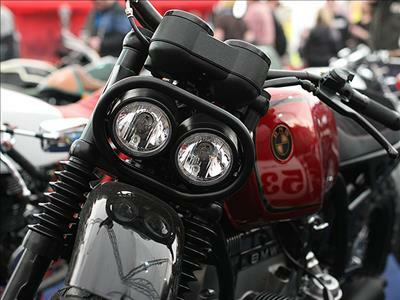 Motorcycles of all types meet in Brian Head for an annual celebration of two-wheeled vehicles. You will hear the thunder roaring up and down the Parowan canyon! Normally held in July.